Sarkar: Varalaxmi Sarathkumar's Character In 'Thalapathy' Vijay Film Revealed? 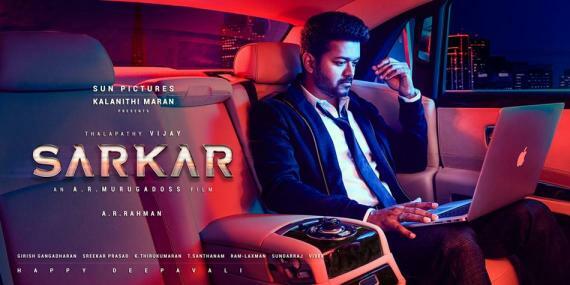 One of the biggest films in production at present, Sarkar, starring ‘Thalapathy’ Vijay in the lead role and being directed by A. R. Murugadoss with music by A. R. Rahman is progressing at a steady pace. It was celebration time last week when Sun Pictures unveiled posters from Sarkar leaving Vijay fans all over in a frenzy. With three posters launched so far, there is plenty of talk surrounding the film and its star cast, which includes actress Varalaxmi Sarathkumar. 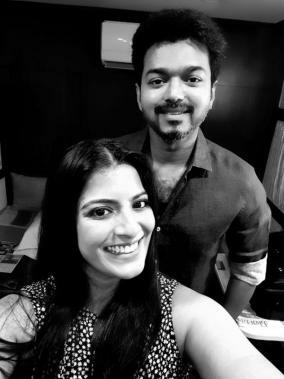 Although up until now, it was believed Varalaxmi had an important role in Sarkar, it looks like she has an extremely crucial part to the proceedings of the plot as reports now state she plays the daughter of veteran actor Radha Ravi, who is one of the antagonists in the film alongside Pala Karuppiah. Sarkar includes actress Keerthy Suresh as the female lead opposite Vijay for the second time alongside Livingston playing her father and Yogi Babu providing the comedic relief. 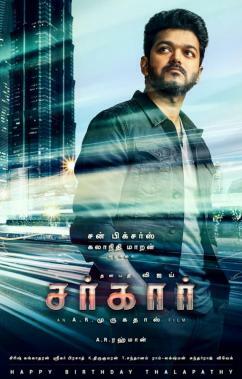 Touted to be an action political thriller, Sarkar has now been officially confirmed for a Diwali release in November. >>TRP Of Thalapathy Vijay's Last 10 Movies! >>IMPRESSIVE: List Of Thalapathy Vijay Movies With Sun TV! 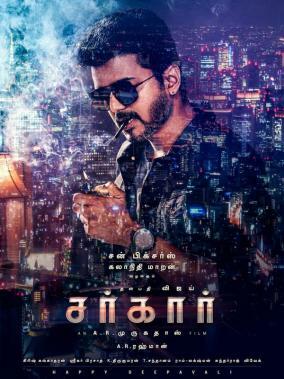 >>Vijay creates history with Sarkar - Details here! >>HD VIDEO: Check What Vijay Did While Casting His Vote! >>Amala - Varalaxmi - Sunaina - New Trailer Is Here! >>VIRAL: First Video From Rajinikanth's Darbar Is Out!